Are you finding the ending of your picture book story to be a little ho-hum? Or, is everything wrapped up a little too neat and tidy? One of the strongest ways to end a picture book is to surprise a reader. Kids love a surprise ending (and adults do, too). When a book takes you where you didn’t expect to go, that makes the trip all the more exciting and fun. When done well, an unpredictable twist can turn a good book into a classic and is often what makes repeated re-readings a pleasure. In subsequent readings, the reader enjoys being in the know and re-reading a book when you know what’s coming can be enjoyable in its own right too. I’ve always been a big fan of plot twists in books and movies of any genre for as long as I can remember. 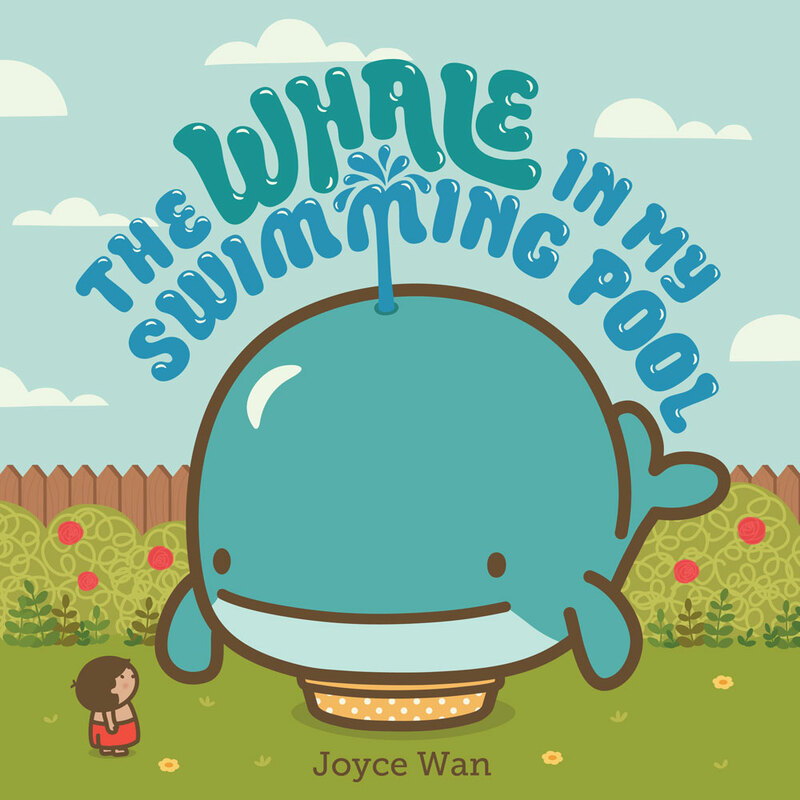 When I wrote my latest picture book The Whale In My Swimming Pool, I knew I wanted to include a twist at the end to delight and surprise readers. With a solid hook in mind, I came up with the ending before I even wrote my first draft, crafting the story backwards from the twist. Creating a twist ending involves knowing what your audience expects or takes for granted. What’s the predictable ending? Then, figure out how to turn it inside out or extend the story just a little beyond the last sentence with an unpredictable turn of events even if it’s only shown in the final illustration. In funny stories, a twist ending can feel like a punch line to a joke. Just when readers think the problem has been resolved, the ending echoes something that happened in the beginning of the story. 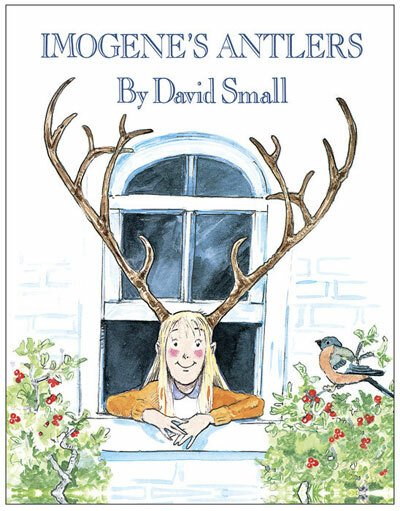 An example of this is used in Imogene’s Antlers by David Small, which is about a girl who wakes up one morning with huge antlers growing out of her head. By the end of the book, she wakes up to find her antlers have disappeared, only to be replaced by a full set of peacock tail feathers. I used this technique at the end of The Whale in My Swimming Pool when the little boy in my story goes home to take a nap, after resolving his whale of a predicament, only to find a bear in his bed. A character is revealed to be someone else in the end. 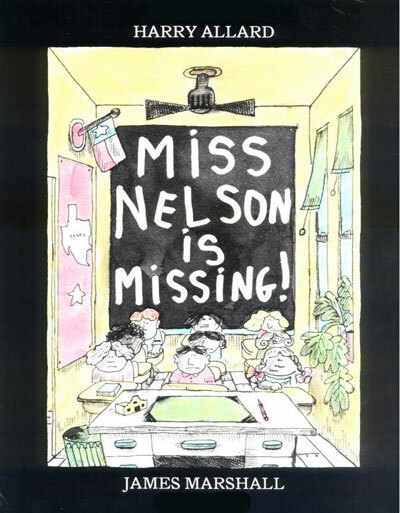 An example of this is Miss Nelson is Missing by Harry Allard (illustrated by James Marshall), when it’s revealed at the end the book (through the illustration) that the ugly, mean substitute teacher, Miss Viola Swamp, was in fact Miss Nelson in disguise and the ruse was a tricky way to get her class to behave. A reader’s assumption of what is true is reversed. 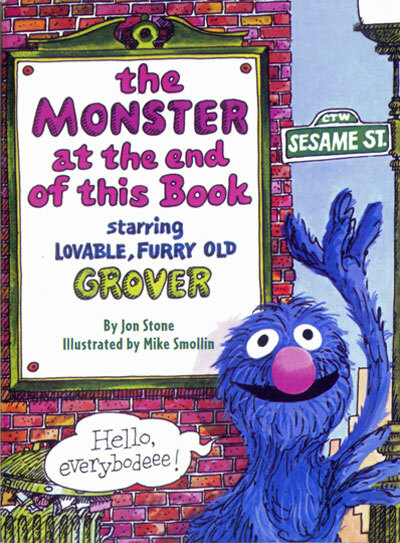 An example of this is The Monster at the End of this Book by Jon Stone (illustrated by Michael Smollin) when lovable Grover begs the reader throughout the story not to turn the page as there is a monster at the end of the book. It’s revealed at the end that the monster is none other than Grover himself. The book plays on the fact that readers assume that all monsters are scary and bad with Grover himself building up on that assumption throughout the entire book. It’s a good idea to have a twist ending in mind from the start so that you can set up the sequence of events that leads you right to the surprise at the end. Also, it’s the only effective way of diverting attention away from it all the way through the story. If you’re a pantser, you may have to go back to fix any inconsistencies and to make sure everything lines up the way they should so that the ending makes sense. A twist ending should be somewhat open-ended and will introduce new questions or themes. It leaves readers thinking and talking about it long after they have finished reading. At the end of The Whale In My Swimming Pool, readers are left wondering a) where did this bear come from b) how will the little boy get the bear out of his bed and c) what’s going on that’s causing all these wild animals to descend on this boy’s home. As an author, it has inspired lively discussions at book readings and school visits and is a great way to foster a child’s imagination. Do make sure that your story is not so dependent on its twist that it doesn’t have anything else to say as it will feel terribly contrived in plot for the sake of The Surprise. You also don’t want the reader to feel cheated or tricked. Rather, you want the twist to make the reader feel as if that’s the best way for the story to have ended. Picture books with a good twist ending will increase a manuscript’s value dramatically and grab an editor’s attention. It will extend the story beyond the story, begging readers to imagine what happens next. Who knows, it might even set you up for a sequel! What are some of your favorite picture books with a twist ending? 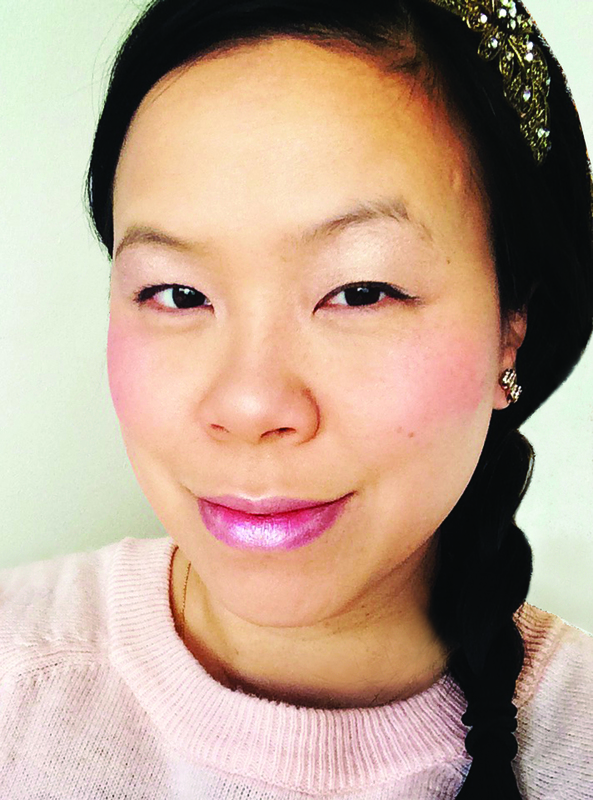 Joyce Wan is an award-winning author-illustrator of many popular books for children, including You Are My Cupcake, We Belong Together, and The Whale In My Swimming Pool, which was a Junior Library Guild Spring 2015 selection. When she’s not working on books, she teaches courses at The School of Visual Arts in New York City. Visit her online at www.wanart.com. 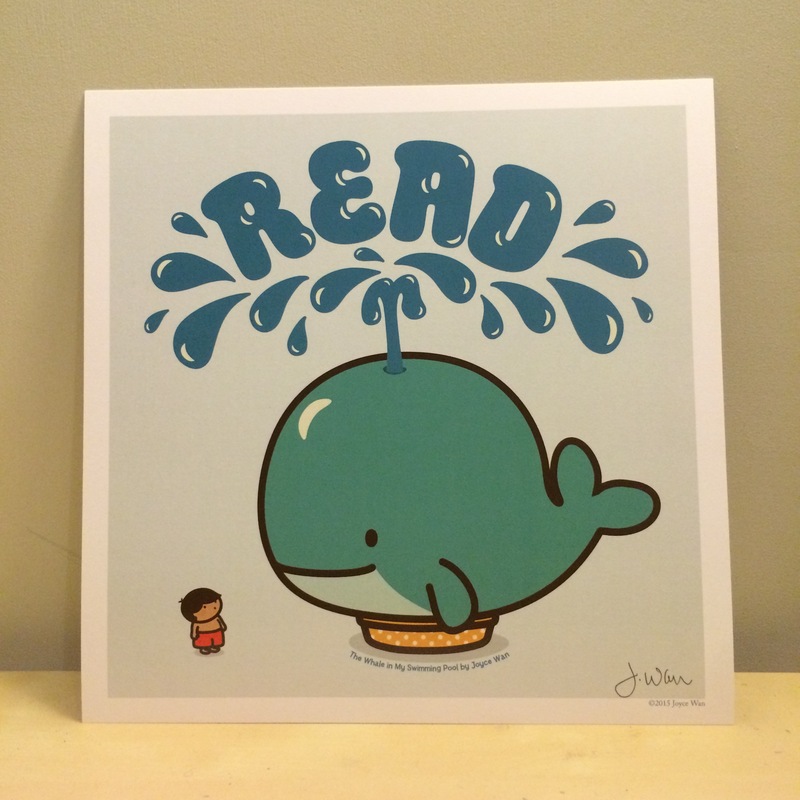 picture book The Whale In My Swimming Pool AND an adorable signed print (shown to the right). If you are a registered Summer School student and would like a chance to win, please leave a comment on this post to be entered into the drawing. Good luck! If you are registered for Kidlit Summer School, you can download a worksheet of Christine’s writing exercise at our Exercise Book. This is a password-protected area — only members allowed! Please check your email for the password.